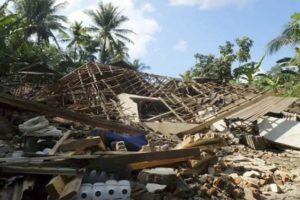 Probashbangla24 online Desk : Indonesian authorities scrambled on Monday to get help into quake-hit Sulawesi island as survivors streamed away from their ruined homes and accounts of devastation filtered out of remote areas, including the death of 34 children at a Christian camp. The confirmed death toll of 844 was certain to rise as rescuers reached devastated outlying communities hit on Friday by a 7.5 magnitude earthquake and subsequent tsunami waves as high as six metres (20 feet). ‘The evacuation is not finished yet, there are many places where the evacuation couldn’t be done because of the absence of heavy equipment, but last night equipment started to arrive,’ Widodo said. ‘We’ll send as much food supplies as possible today with Hercules planes, directly from Jakarta,’ he said, referring to C-130 military transport aircraft. The disaster agency said later more heavy equipment and personnel were needed to recover bodies. 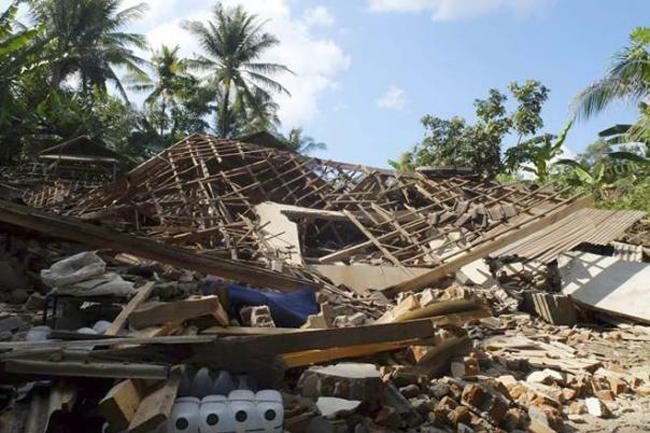 One woman was recovered alive from ruins overnight in the Palu neighbourhood of Balaroa, where about 1,700 houses were swallowed up when the earthquake caused soil to liquefy, the national rescue agency said. ‘We don’t know how many victims could be buried there, it’s estimated hundreds,’ said Sutopo Purwo Nugroho, spokesman for the National Disaster Mitigation Agency. All but 23 of the confirmed deaths were in Palu, a city of about 380,000 people, where authorities were preparing a mass grave to bury the dead as soon as they were identified. However, nearly three days after the quake, the extent of the disaster was not known with authorities bracing for the toll to climb – perhaps into the thousands – as connections with remote areas up and down the coast are restored. Of particular concern is Donggala, a region of 300,000 people north of Palu and close to the epicentre of the quake, and two other districts, where communication had been cut off. ‘It’s devastating,’ she told Reuters by text. ‘My volunteers found 34 bodies buried under tsunami debris … missing children who had been doing a bible camp,’ she said. A Reuters witness said queues at petrol stations on the approaches to Palu stretched for kilometres. Convoys carrying food, water and fuel awaited police escorts to prevent pilfering before heading towards the city while a stream of residents headed out. One aid worker spoke of growing lawlessness and threats of violence among survivors seeking fuel. The government has allocated 560 billion rupiah ($37.58 million) for the recovery. Military aircraft were bringing people out of Palu, where crowds were waiting at the airport. One official told Metro TV it was hoped up to 1,500 people could be taken out every day, with children, women and the injured the priority. Media footage showed chaotic scenes with officers struggling to keep order. The head of Indonesia’s investment board said Widodo had agreed to accept international help and he would coordinate private-sector assistance from around the world.